While I love to cook with herbs and veggies straight from a backyard garden, I was not born with a green thumb. Lucky for me, my husband is an avid gardener and loves growing heirloom variety veggies. But that means at the end of every summer, we end up with piles and piles of zucchini. Don’t get me wrong, I love zucchini, but it can be hard to keep up. The recipe below is one of many delicious ways we use our bounty. 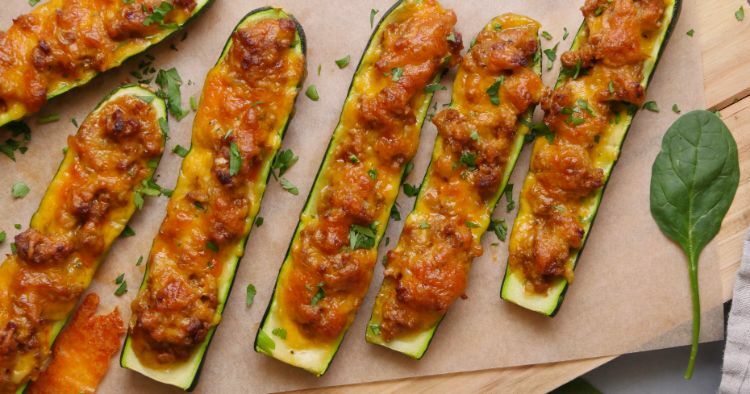 Filling hollowed-out zucchini with seasoned taco meat and cheese is a smart way to enjoy all the taco flavors you love without the carbs. I use ground turkey here, but you could easily substitute ground or shredded beef or chicken. Serve with dollops of sour cream and guacamole for a real treat. 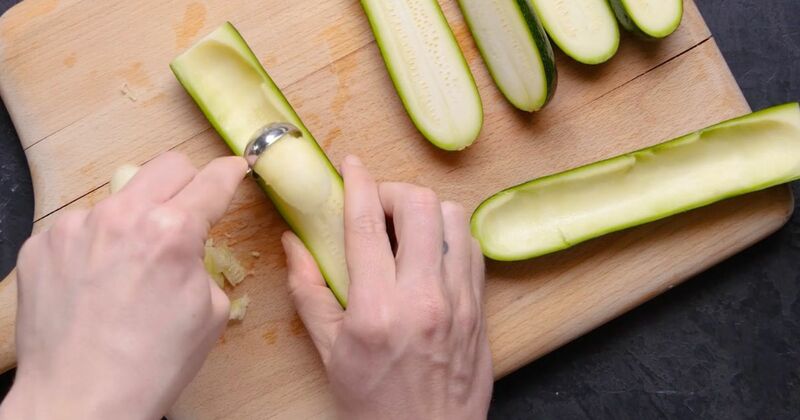 Scoop out the insides of the zucchini with a spoon and chop up the flesh. Arrange the scooped-out zucchini halves in a 9-by-13-inch baking dish, cut side up. Heat the olive oil in a large skillet over medium-high heat. Add the onion and cook, stirring frequently until softened, about 5 minutes. Add the chopped zucchini, garlic, chili powder, cumin and paprika, and cook, stirring, for about 1 minute more. Add the turkey and cook, breaking the meat up with a spatula, until thoroughly browned, about 6 minutes. Add the chicken broth and reduce the heat to low. Let simmer until the sauce has thickened, about 5 minutes. Stir in 1 cup of the cheese. Scoop the mixture into the zucchini boats, and then sprinkle the remaining cup of cheese over the top. Bake in the preheated oven for about 20 minutes, until the zucchini is tender and the cheese is bubbling and browned.